K-9 SEARCH & DETECTION, LLC provides canine services for a construction site located adjacent to the World Trade Center. 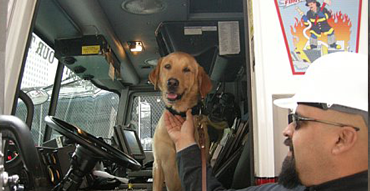 K-9 SEARCH & DETECTION, LLC’s K-9s are on site to detect tobacco, following an August 2007 fire that claimed the lives of two New York City firefighters. New reforms put forth by the city of New York have made the detection of contraband tobacco on construction sites imperative. K-9 SEARCH & DETECTION, LLC has been responsible for numerous finds, from single cigarettes to packs, lighters, and chewing tobacco. In addition to organized searches of all personnel entering the site, K-9 SEARCH & DETECTION, LLC’s K-9s are also responsible for searches of all areas throughout the building, and have proved to be the most effective tool in detecting and keeping the site free of all tobacco products.